Come Back Kids Charter has developed a unique and exciting partnership with the Vocademy Makerspace in Riverside to provide training in 21st Century manufacturing skills for careers in metal and plastics fabrication, CAD/CAM, Rapid Prototyping, Fashion Design and Manufacturing, Industrial Fabric Design and Manufacturing, Electronics, Theater Arts, and Cosplay. 1	〉 By signing up for individual ‘First Thursdays’ on the CBK Student Events Registration Page, and selecting one of the skills to learn that are offered by the Vocademy on that day, such as: 3D Printing, Laser cutting and etching, welding, sewing, and, etc. 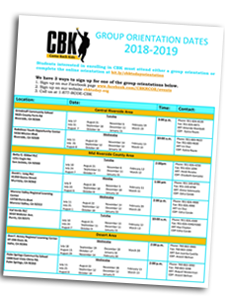 2	〉 Signing up for our CBK Vocademy Cohort on the CBK Student Events Registration Page and then with your teacher, selecting a vocational pathway. The career pathways that students can choose from are project-based and use skills taught in more than one discipline, such as CAD, 3D printing, metal fabrication, welding, electronics, and sewing, to complete. Cohort participants will be required to have good attendance at the Vocademy, as each session builds upon the previous one, and there will be 5 credits of additional CTE coursework that the student must complete in order to retain eligibility to participate in the cohort. *It is highly recommended that students participate in a ‘First Thursday’ before making a final decision to commit to the Cohort. Interested students can reserve a ‘spot’ on the cohort list, as it fills quickly, before attending a First Thursday session. For our CBK graduates: the Vocademy is offering free industry certification courses and paid internships to help transition you into the career of your dreams. **90% participation is required to continue to participate in the cohort. Calendar dates subject to change due to participation in field trips to manufacturing sites and the Inland Empire Manufacturer’s Summit.